Do you know what are the best ways to reduce property insurance premiums? 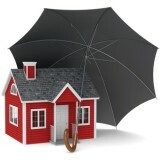 Learn how to reduce your property insurance costs here. Most insurance companies offer bundle discounts if you maintain two or more insurance policies with them. If you're a homeowner, you can consider buying your auto insurance or health insurance from the same insurer. This bundle discount also counts if you own multiple properties and their insurance policies are bought from the same company. Depending on the number and size of your insurance policies, you can expect to reduce your insurance costs by 3 to 15%. Some insurers will offer discounts to customers who have been with them for at least 3 years (and were punctual in their premium payments). Loyal customers of 7 years or more may be able to cut their insurance costs by up to 10%. With the advent of the Internet, comparing property insurance quotes from different companies has never been easier. You can begin your comparison by getting online quotes from the biggest insurers: Progressive, Geico, StateFarm and AllState. You can also approach your local homeowners and landlord associations to enquire about group discounts for members. Established associations often have tie-ins with insurers and may offer discounted policies with customized coverage. It's highly recommended that you obtain quotes from at least three different insurers. A proper comparison extends beyond a simple price check - You will also need to factor in deductibles, coverage amount and type of coverage. Extra tips to reduce property insurance rates for landlords: Tenants also matter when you're shopping for rental property insurance. Insurers tend to frown on upon tenants with higher liability risks - This typically include students and people on government benefits. Smokers are also undesirable because they are seen as a fire hazard by insurance firms. They will still offer you insurance coverage, but may bump up your insurance premiums. If your tenant is an elderly person or a full time housewife, then you may be able to save on fire safety insurance. This is because they tend to be at home more often, reducing the risk of fire breakouts going unnoticed.